CAREER: Growing up in a family that owned a pharmacy, Atwell became a licensed druggist in 1937. 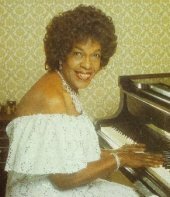 However, she continued to play the piano and became very popular in Trinidad before leaving for the USA in the early 1940s to receive further piano training. In 1946, she left the USA for England to continue studies in classical music at the Royal Academy of Music. To support herself while in school, Atwell played "boogie woogie" music at London's hotels and clubs. 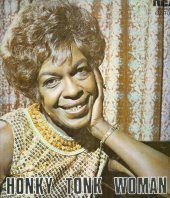 She became popular and made numerous classical and "honky-tonk" recordings from the mid-1950s to the mid-1960s. She was the first British artiste to be awarded two gold medals when two of her recordings sold over a million records each. During the height of her popularity, she appeared in concert at Royal Albert Hall and played regularly at the Prince of Wales and Palladium Theatres in London. She returned to Trinidad frequently and, in the 1960s, recorded the album "Ivory & Steel" with the North Stars Steelband and give a free concert. 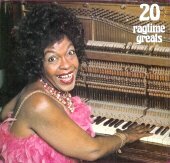 She migrated to Australia in the late-1960s where she continued to perform until her retirement in 1978.